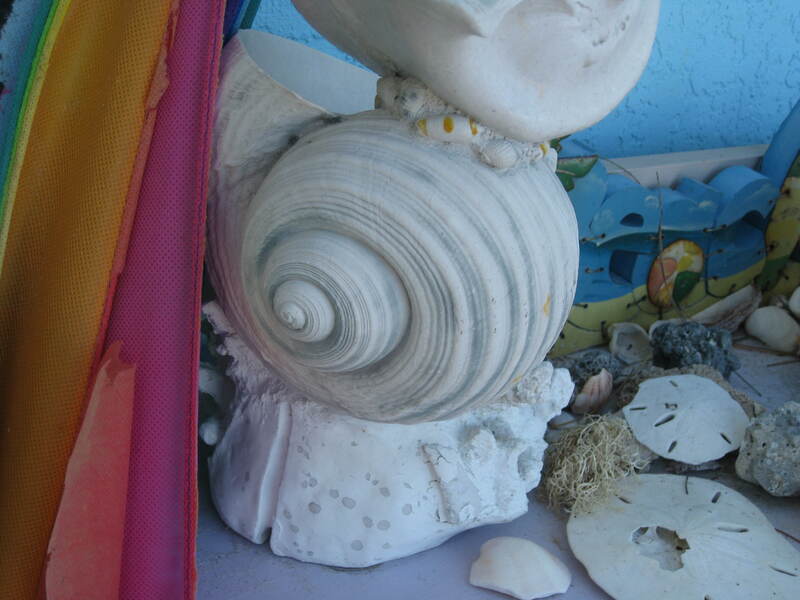 You are currently browsing the tag archive for the ‘seashells’ tag. 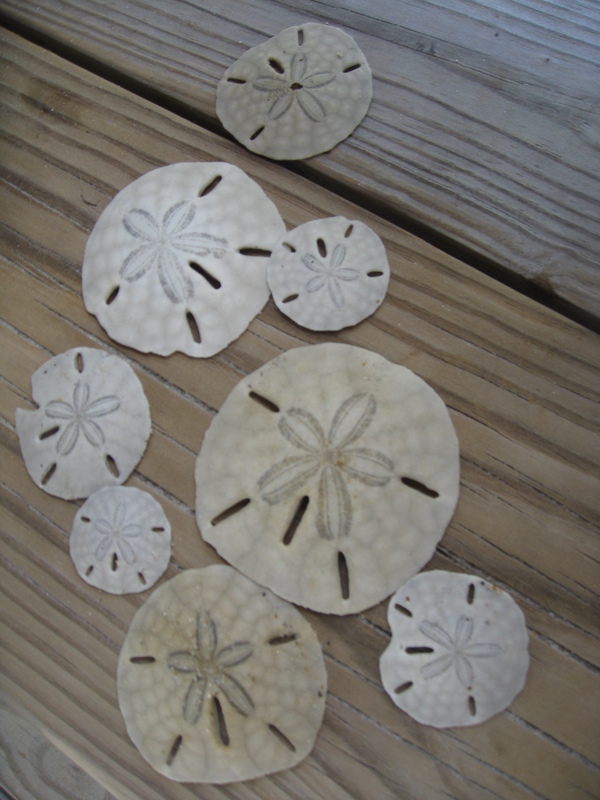 Kelsea has always wanted to find whole sand dollars. One year when she was small, she found enough pieces to fill a half-gallon plastic bag, but no whole ones. 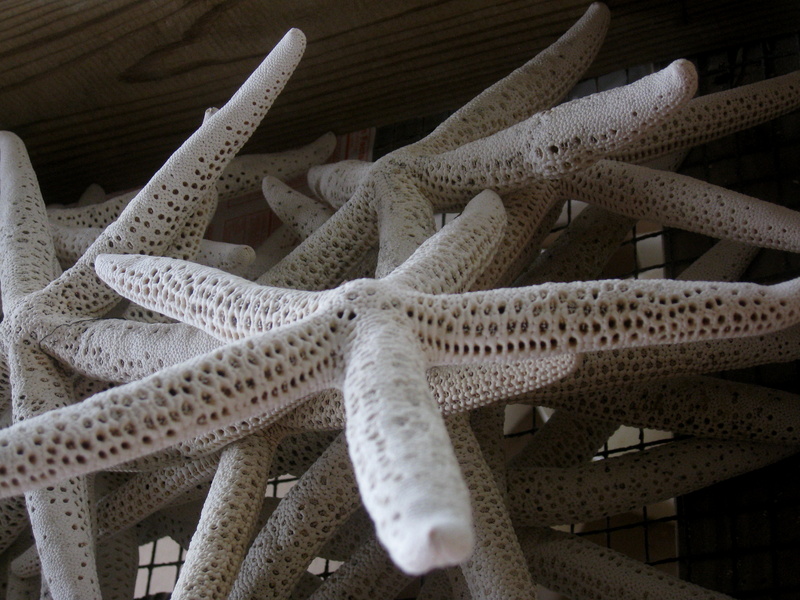 As you know, they are quite fragile, and I’m amazed when one makes it to shore in one piece. 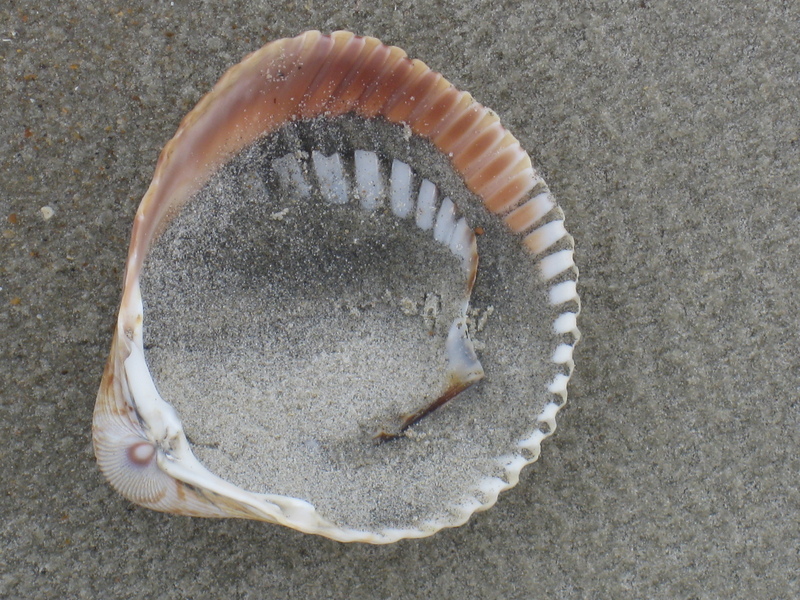 On our adventure to Cape Lookout this year, she found a dozen whole sand dollars, enough to leave a few slightly less than perfect ones on the beach for others to find, and enough to give one to a small boy on the “Mule Train” track on our way back, and still feel the richness of her bounty. 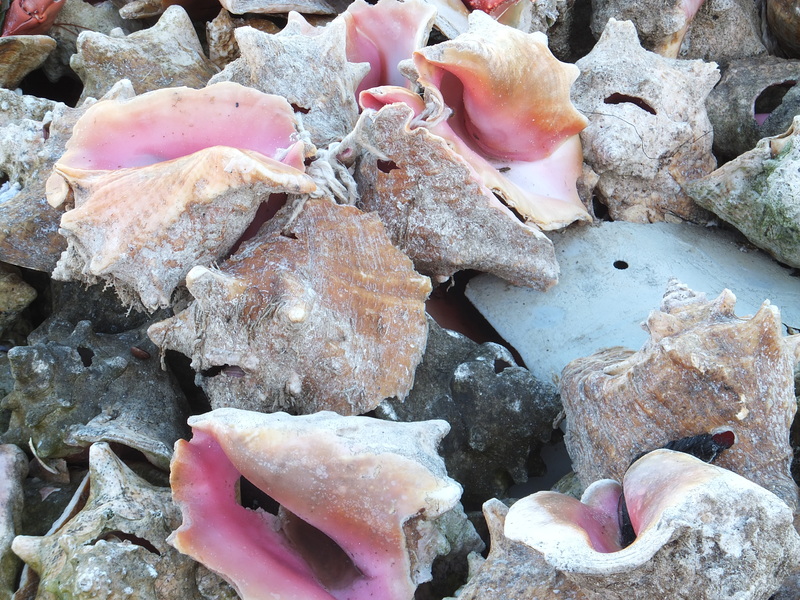 All over the Caribbean are piles of conch – conch graveyards – in spots on various islands. 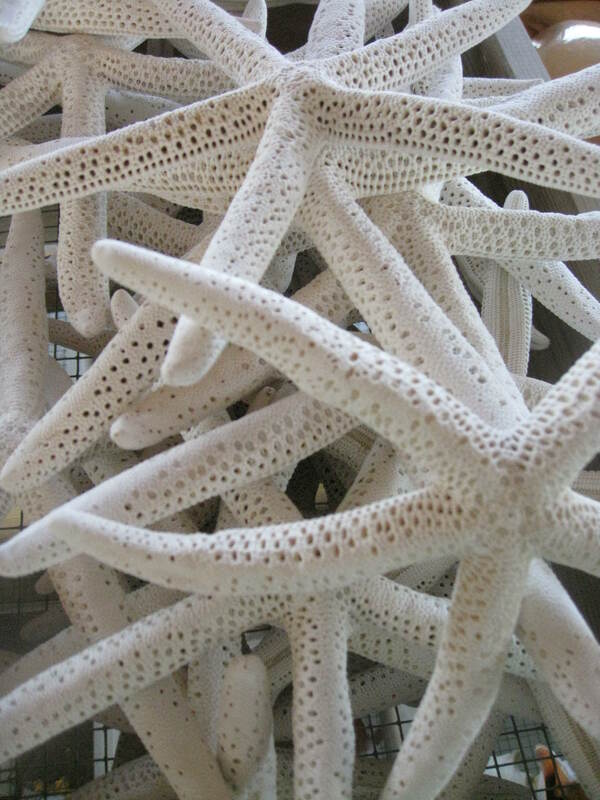 The pile on Anegada is way off of a point that is terribly hard to get to. 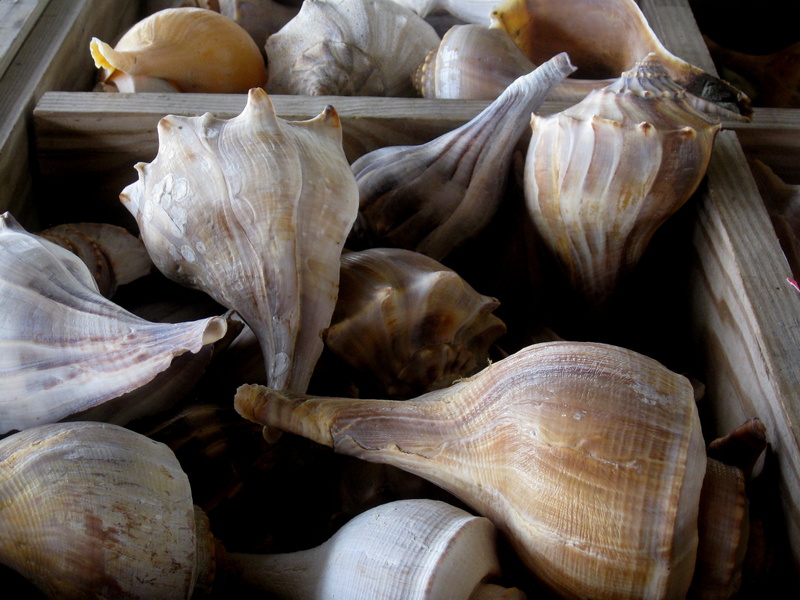 The one on Stocking Island is right in the water at the edge of the beach, where day trippers pile off of boats to have fresh conch salad. This one is at the Fish Fry on Great Exuma. 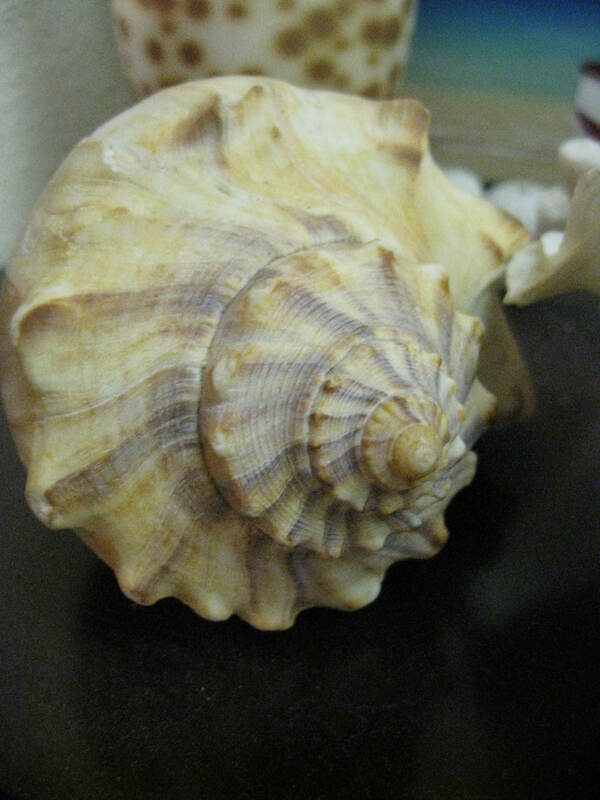 So many of the conch shells are just gray husks of their former selves, but these few still hold that rich rose shade that we all recognize from conch shells worldwide. Still awaiting spring. Sigh. It’s not going to get out of the 50s for a week, which is very unusual for this time of year. But what they’ve always said about Colorado is “If you don’t like the weather, wait a minute.” However, the light is lovely reflecting dully off the snow. I have told MKL that next year, I want to learn to ski, so that I can find some pleasure in the cold. If my ankle ever heals. Sigh. Can you tell I have a case of the gloomies? And so, as I do when I have the gloomies, I revert to sea dreams.